Interview with Daniel of the D-Report. – How do we take care of our children within the politics of a world that requires us to resist? – What does it mean to parent from a place of fear? – What is post traumatic slave syndrome and how does this trauma affect our parenting? – How does the urgency to protect our children manifest fear? – How do balance imparting preparation of our adult sight to our children without over burdening them? – How do we acknowledge the brilliance of our children? 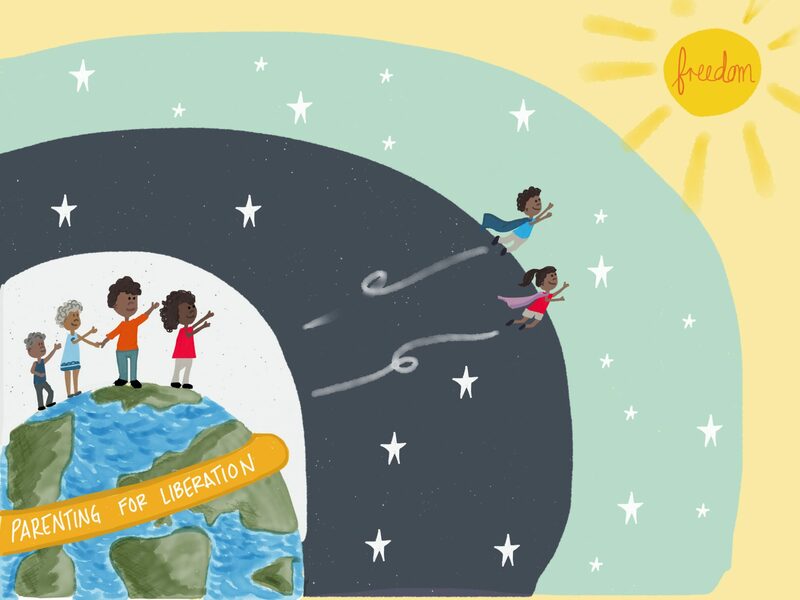 – Why can children imagine that a different world is possible, and adults can’t? – Do we under estimate children’s potential for acceptance of and compassion for others? – Do we see children in a disrespectful way? – How do we have respectful relationships with our sons or daughters? – Do other parents also feel alone in their fears and questions of parenting? – How do we create spaces to engage with other parents, so we can realize we are not alone and heal? – If you build it they will come? – Are we able to build relationships of mutuality with our children that are removed patterns of dominance and control? – What are ways of parenting that are rooted in trauma? – What if we are not interested in enforcing the politics of respect onto our children?